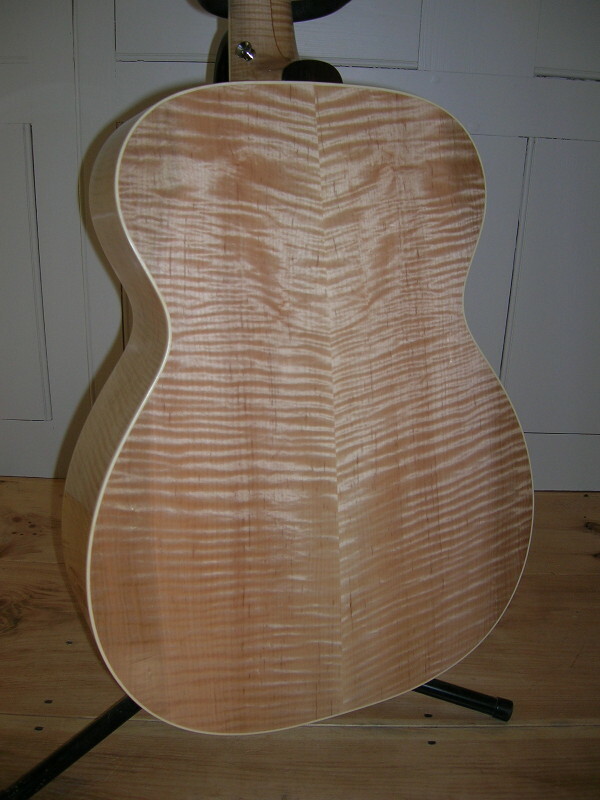 This instrument had severe cracks in the top and bracing. The repair required removing the top, replacing a broken brace, splinting the top cracks, and reinstalling the new top binding. 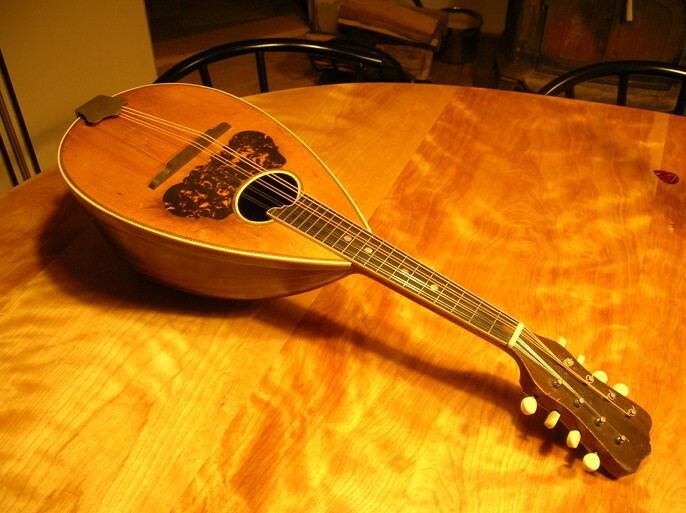 This mandolin belonged to a neighbor whose father played it in college during the 1920's. My second hand-built guitar, based on a classic Gibson design. 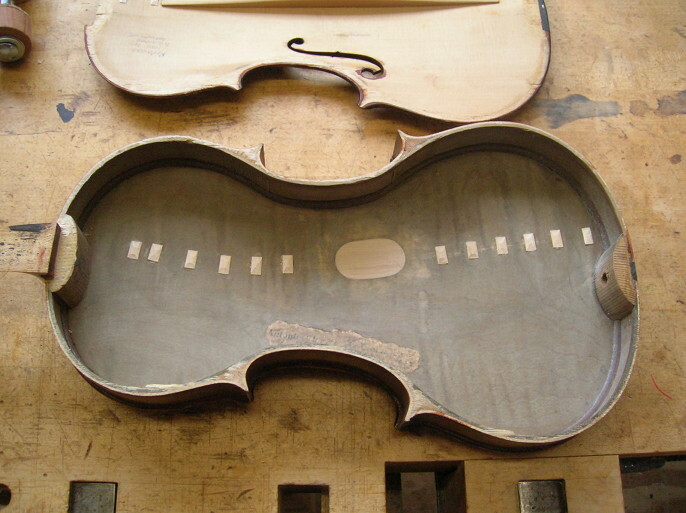 This violin required numerous crack repairs. 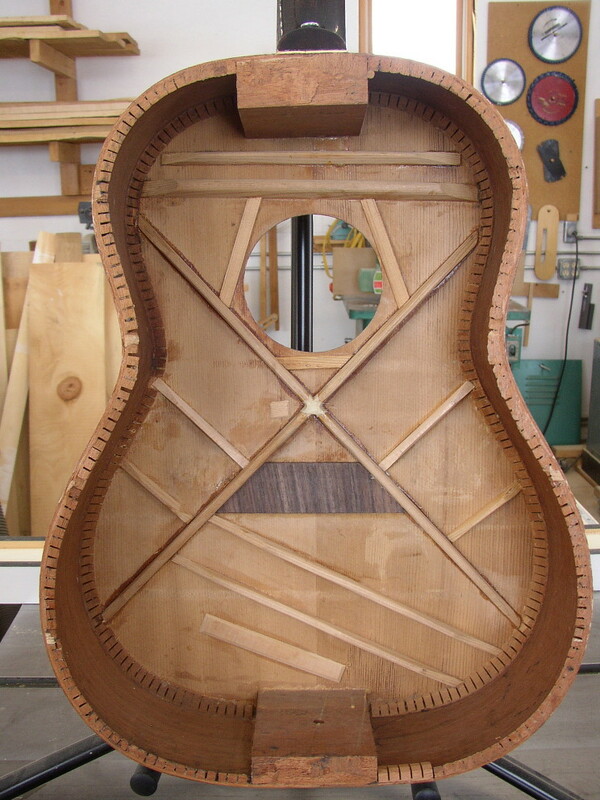 The restoration involved a soundpost patch in the back, with numerous cleats. This is a mid-1800's instrument inherited by a friend from a great-uncle. The x-brace had separated from the top, requiring removal of the back in order to reglue the loose braces.